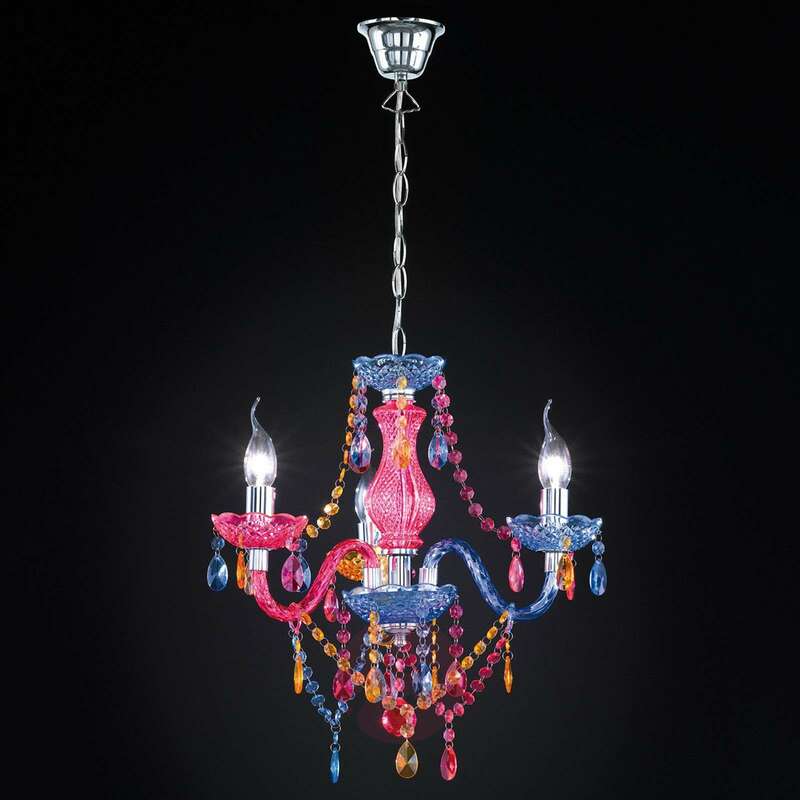 Its lively colours magically draw the attention: We're talking about the three-light Perdita chandelier with its wonderfully-curved, glossy chrome-plated metal frame which outshines everything else with its sparkling acrylic decorations in blue, pink and orange tones. 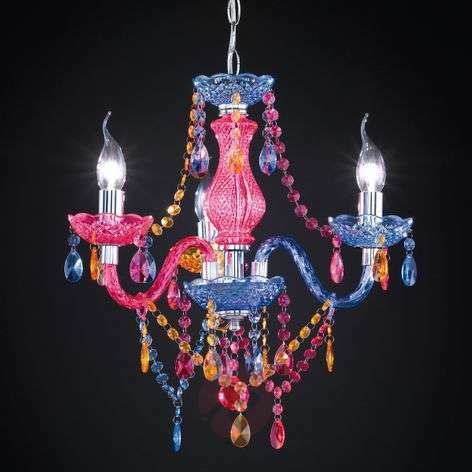 Just right for a trendy girl's or teenager's room or for people looking for an unusual style. Flame tip candle bulbs look very enchanting and enhance the effective design. The light bulbs are not included (can be ordered through accessories). We do pride ourselves on high quality standards when it comes to our products and customer service. You are correct by stating that the colours are not as vibrant as what is showed on the website. This is due to the fact that on our website we had to intensify the colours due the dark back ground of the picture.